When in Amsterdam, don’t pass Gogh. 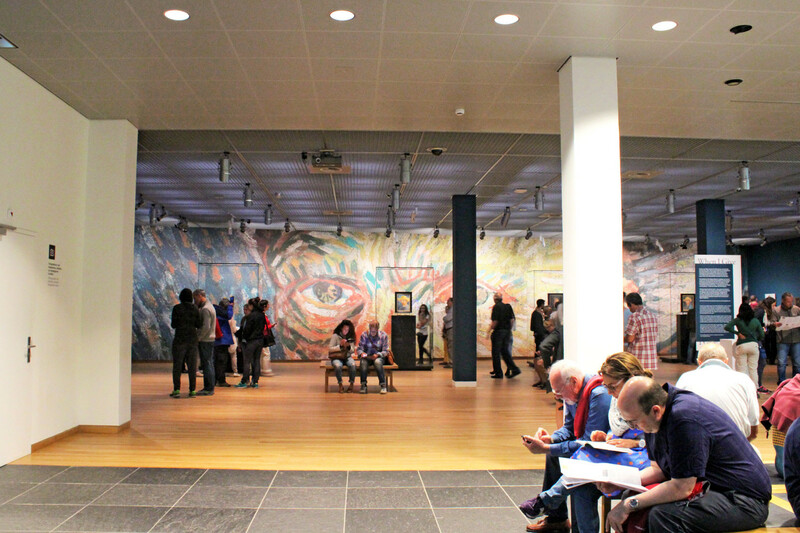 The Van Gogh Museum is the most visited museum in the Netherlands and the 23rd most visited art museum worldwide for good reasons: it guides you right through the development of Van Gogh as an artist and gives you a view of the man behind the paintings that you can get nowhere else. The visit starts with his first pieces, then gradually takes you through his work in Paris, his relationship with his brother and famous other artists, and his time in Arles in the south of France. The building itself is not filled to the brim, and some famous pieces like The Starry Night are not located here. Regardless, the museum houses the world’s largest collection of Van Gogh works, including well-known masterpieces such as The Potato Eaters (1885), Wheat Field with a Lark (1887), The Yellow House (1888), and Sunflowers (1889). Although it will cost you spontaneity, buying tickets online will save waiting in a long, slow-moving queue. Rather than lining up with hordes of others, you’ll be in the fast-moving priority lane. Adult entry is currently €17. How to get there: tram lines 2, 3, 5 and 12 stop within easy walking distance of the Van Gogh Museum. This is arguably Amsterdam’s most important and famous landmark. It is a must see in order to understand how World War II affected not only the Jewish people, but also the city of Amsterdam. The Diary of Anne Frank, published long after the young girl was killed in the concentration camp of Bergen-Belsen, made its author one of the most recognizable figures of the Holocaust. The rooms where the Frank family hid during WWII can be reached through a door behind a hinged bookcase. They are bare of furniture yet extremely moving, with black-and-white magazine pictures & postcards pasted on the walls by Anne still hanging. It is definitely a museum that calls for introspection. I’m really grateful that places such as the Anne Frank House have been preserved, so that we and generations to follow can see and learn from the past. I sincerely hope that as we progress as a civilization we will eliminate hatred and prejudices. I can’t encourage people enough to reserve time slots online and in advance. 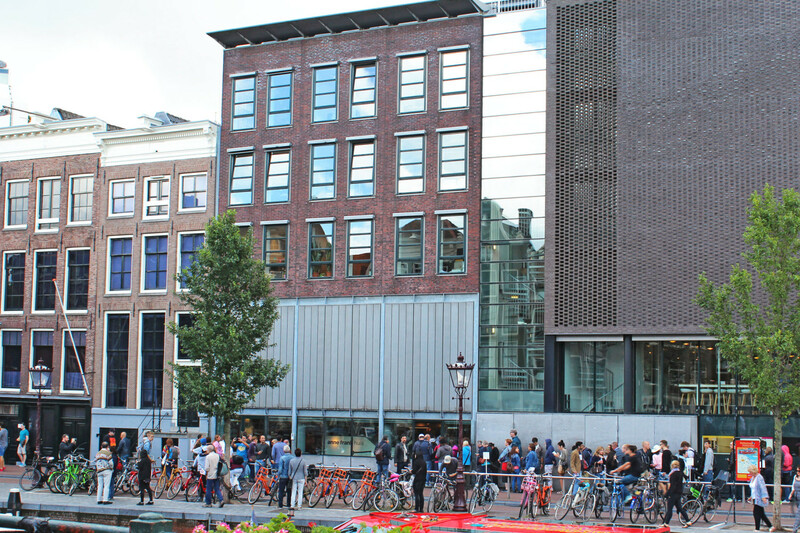 As soon as you have your Amsterdam dates inked in the calendar, go to the Anne Frank House website and use your credit card to buy those tickets. Opening times: April 1 – October 31 from 9:00 – 21:00, (Saturdays 9:00 – 22:00). July – August: daily 9:00 – 22:00 November 1 – March 31: daily from 9:00 – 19:00 (Saturdays 9:00 – 21:00). How to get there: from the Central Station, you can take tram 13 or 17, get off at the ‘Westermarkt’ stop, and walk to your right to the Prinsengracht canal. 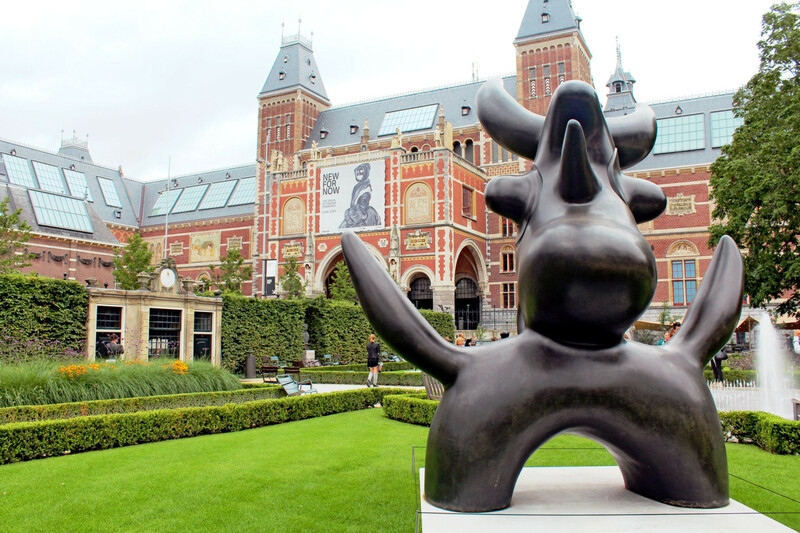 The Rijksmuseum was founded in 1800 as a national exhibition building to display the paintings of 16th-17th century Dutch masters, but the current main building was designed by Pierre Cuypers and first opened its doors in 1885. 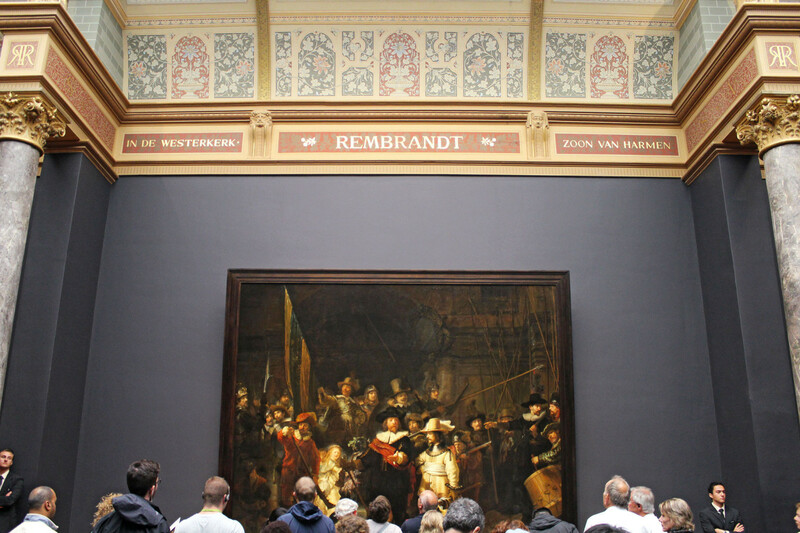 The collection includes art by Vermeer, Frans Hals and Rembrandt, whose masterpiece ‘Night Watch’ is displayed in a new hall specifically designed to illuminate every single detail. There is also a small but fascinating collection of Asian artworks. The building is incredible in itself and only reopened in 2013 after a ten year renovation. How to get there: tram lines 2, 3, 5 and 12 stop within easy walking distance of the Rijksmuseum. 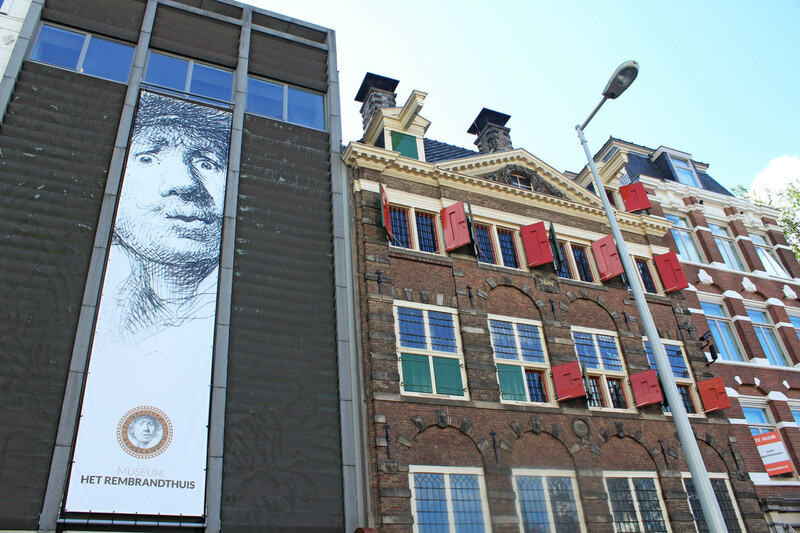 Though Van Gogh is certainly Amsterdam’s favorite artist, Rembrandt isn’t far behind. In this small house-museum you can see where Rembrandt lived and worked for over 20 years. The Rembrandt House Museum contains in fact hundreds of etchings, drawings, and copperplates by the Dutch master, as well as a generous selection of works from his contemporaries and pupils. The museum also houses a number of Rembrandt’s personal effects which survived the auction of his belongings. How to get there: you can take tram lines 9 and 14 and get off at “Waterlooplein” stop. If you are even vaguely interested in photography, FOAM should be on your must-visit list when you come to Amsterdam. 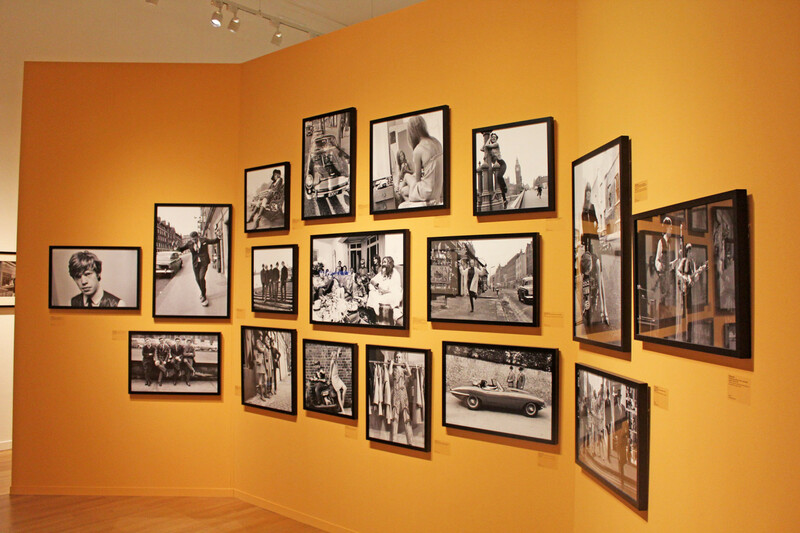 Foam Photography Museum is internationally famous for exhibiting several photography genres and a variety of memorable artwork. As well as displaying a wide variety of incredible photographs, it’s renowned for being a creative hub where photographers can meet and participate in forums. Adults entry is € 10,00, students € 7,50. How to get there: take tram 16 or 24 from Central Station and get off at ‘Keizersgracht’. 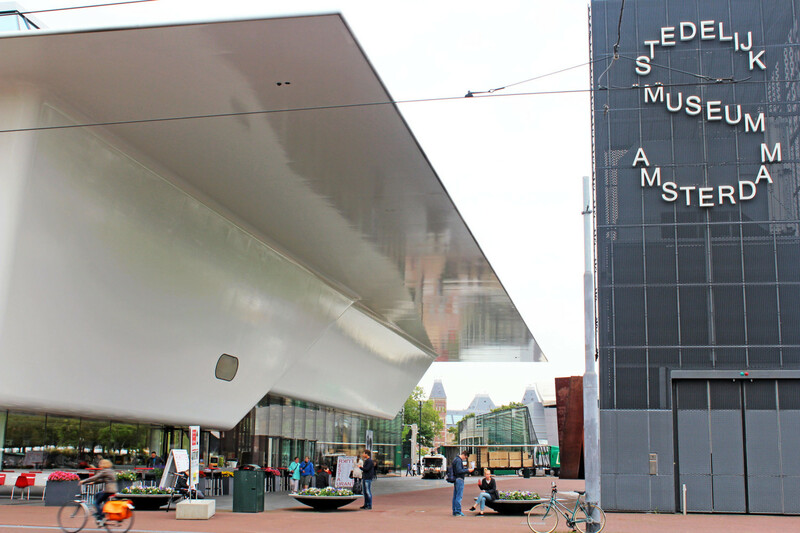 The Stedelijk Museum is as modern and stylish as its contemporary collection of paintings, graphics, photographs and video artifacts — about 90,000 in all. It features works from famous artists like Van Gogh, Matisse, Pollock, and Warhol, but it’s also the go-to place if you want a preview of emerging art movements. How to get there: tram lines 2, 3, 5 and 12 stop within easy walking distance of the Stedelijk Museum. Are you a museum freak?